Instead of reading this post about the future of meaningful work, you can listen to the live audio and view my slides by clicking on the video, below. One day one of the morons stops long enough to ask himself what he is doing. He wonders what purpose there is in carrying the bricks. And from that instant on he is not quite as content with this occupation as he had been before. These words are from a suicide note. The person who wrote them found no meaning in his work. In Toronto, Canada on January 26, I was fortunate to be the first speaker at a symposium called, Unlocking the Future of Work. I spoke about the future of meaningful work. The symposium was the final event at the 2019 Design Toronto Festival and it asked that speakers design an inclusive future by redefining the conversation about the Future of Work and tackle some complex questions like; What is the future of work? What motivates it? Who governs it? Who’s leading it? Who’s included? Who is prepared for it? Who can access it? And who benefits from it? This symposium was a perfect match for my mission. Here’s my contribution to that conversation. In the future, more work may be provided by fewer, larger corporations. This doesn’t mean that there will be less work in the future, only that these fewer, larger corporations will have more control over how we experience our work. Artificial intelligence and robotics will continue to subsume tasks previously performed by humans. Again, this doesn’t mean that there will be less work in the future, only that us humans will have fewer choices of occupations and professions to choose from. Today, to find meaningful work we change our work. If our jobs become less meaningful, we usually try to find a new job. But to change jobs, we need choices. We need choices of different occupations, professions, employers and locations to work. But in a future with fewer choices, how will we find meaningful work? The answer is that we will have to ask a better question. Instead of asking ourselves, how will we find meaningful work, we must ask, how will we make work meaningful? Why is this a better question? It’s a better question because asking, how will we make work meaningful, shows that humans create the meaningfulness of things. But how exactly do we create meaning? To understand how we create meaning, it’s helpful to understand how we ever invented the thing called meaning in the first place. 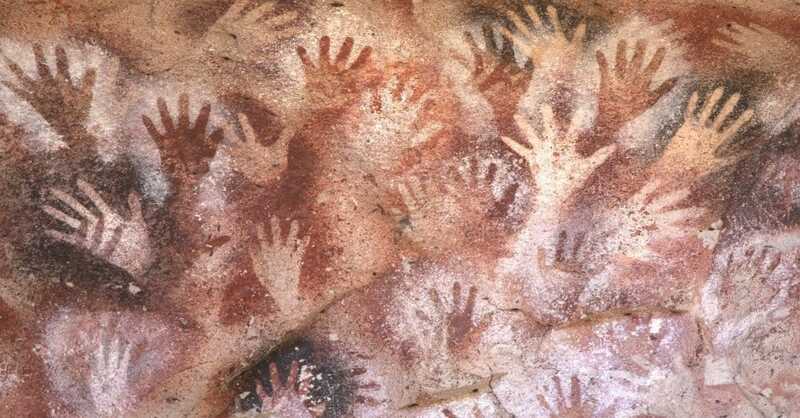 There was a time in our evolutionary history when we first made something meaningful. To understand how we did that, we need to travel back in time. Let’s go back five to ten million years ago to the time when we were the first hominids on the human genetic tree. Imagine that you and I are on the lush plains of what is now Africa and we’ve climbed a tree to eat some fruit. We’re both sinking our sharp teeth into the delicious fruit, but then I see a piece of plump, juicy fruit that’s just out of my reach. 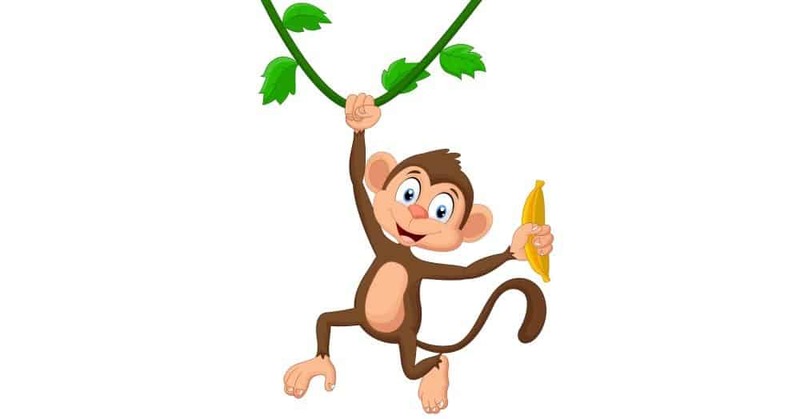 I swing over to a much smaller branch so I can reach the fruit. But that branch breaks and I fall to the ground. I hit the ground with a dull thud. Immediately, a hungry lion springs into action. You watch that lion rip me apart. Eat me. All that’s left of me is a few drops of my blood in the scuffed-up dirt. What did you do next? If we’ve learned from observing other primates, it’s likely that you made a lot of noise. Maybe you climbed higher in the tree. But after that lion left, you went right back to eating the fruit. Isn’t that incredible? That’s exactly what most animals appear to do. After they witness death, they appear to quickly carry on with their lives. Meaningful work, what’s that? Life was so simple before we invented meaning. But now, let’s go back only 2 million years. That’s a time when you will have a more modern understanding of my death because your brain is getting bigger and something called behavioral modernity has happened. Behavioral modernity is the development of abstract thought, cooperation in groups beyond our kin. It’s the development of art and social norms and it’s the mastery of technology like blades and phenomena like fire. At that point in human evolution, three things happened at once. First, we understood that the death that happened to someone else could happen to us. Second, we feared death. And third, we created culture. Behavioral modernity is the beginning of culture. So let’s climb back up that tree and see how the more modern you reacts to my death. We are in a tree picking fruit. The more modern you watches the more modern me swing over to a smaller branch to reach for a piece of fruit. Again, that branch breaks, I fall to the ground and a hungry lion begins to tear me apart. This time, you know that if that lions sees, smells or hears you, he will include you in his next meal. But I’ve got enough fat on me to satisfy his hunger, so he trots off to the watering hole for a drink—that’s your chance. You shimmy down the tree and run, terrified, back to the protection of our cave. Soon, you’re sitting around the fire at the back of our cave, you’re surrounded by your cave mates, but it’s a much quieter cave now. You’re sad and you miss me. But more importantly, you’re nearly paralyzed with fear. But in the instant that you ask yourself that last question, you press your hand into the mud on the floor of the cave. Then you stand up and press your hand to the cave wall. You make a handprint. There it is, something real. Something that no lion can ever take away from you. You, the more modern you, now believe that if you’re killed by lions, all your cave mates will remember you every time they see that handprint. That handprint will exist even when you do not. So what is that handprint? Is it art, religion or a job for a hand-printer? It can be all those things, but it is one thing for sure, it is culture. 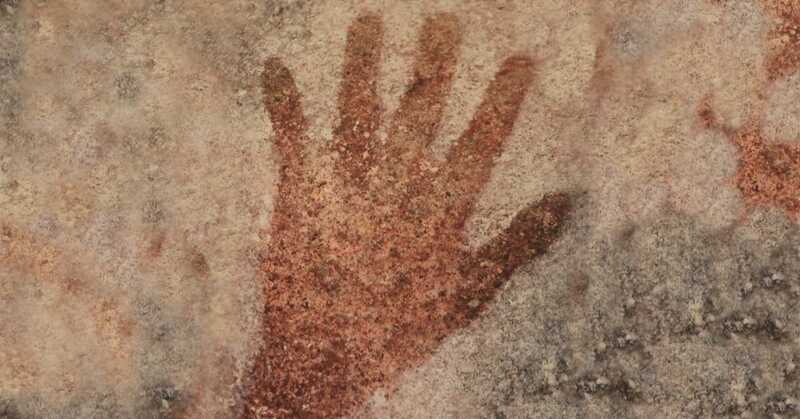 When you made that handprint, that culture, you infused the terror you experienced at my death with meaning. 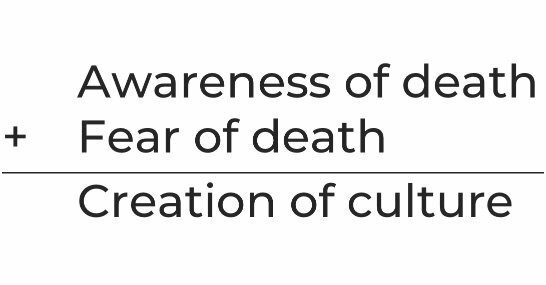 Your awareness of death, your fear of death and your subsequent creation of culture, is something explained by terror management theory. Over thirty years of social science research into terror management theory shows that humans created culture as a buffer against the terror we would experience if we contemplated the nature of our existence. That nature is an unknown time of death and complete annihilation at death. We created cultures of meaning because life without meaning is unliveable! But that handprint isn’t much help to us today. Where is life’s meaning to be found today? There are so many handprints out there, so many cultures awaiting our immersion, and one of those cultures that we’ve created is something called the world of work. We can immerse ourselves in our jobs, in our profession, in the micro-cultures found in our organizations or workplaces. And, as I said earlier, if our jobs become less meaningful, we usually change jobs—we go find meaningful work. But I also said that in a future with less choice we have to stop asking ourselves how will we find meaningful work, and instead ask ourselves, how will we make work meaningful? So, how exactly do we make work meaningful? We begin to make work meaningful when we, first, stop listening to the powerful, socializing forces around us that are telling us what jobs are more valuable, more responsible or more meaningful. Then, second, we make our own handprint in the world of work. We must do this because the alternative is unacceptable. Remember that suicide note at the beginning of this article? Let’s look at it again, but this time let’s change it based on what I’ve just discussed. Thank you to the festival and symposium organizers for doing such a great job, and thank you to the sponsors and funders, and thank you for great questions from the audience.